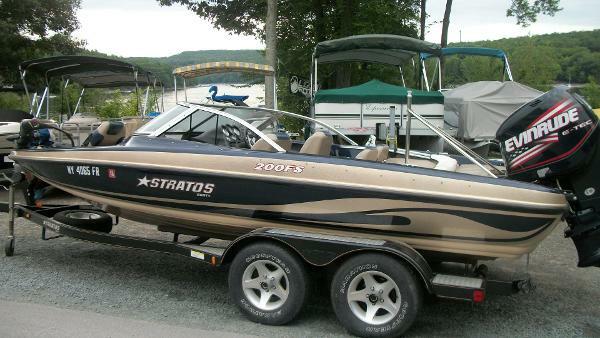 2006 Stratos 200 Fish-N-Ski 2006 Stratos Fish and Ski with Evinrude 200 HP engine with SS prop. Options include: Minn Kota trolling motor, bimini top, full mooring cover, ski tow bar, in floor ski locker, fish finder, stereo and much more. Includes trailer.